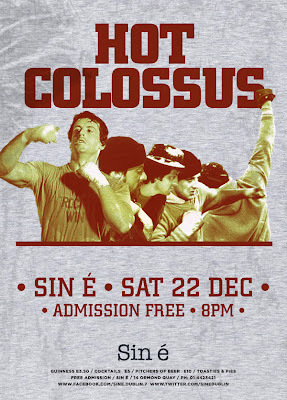 Poster for Hot Colossus (doi: I'm playing guitar). The idea being that the band is like five Rockies, fighters, triers etc. So I sourced five shots of Rocky in training (more or less), crudely cut them out and put them together. 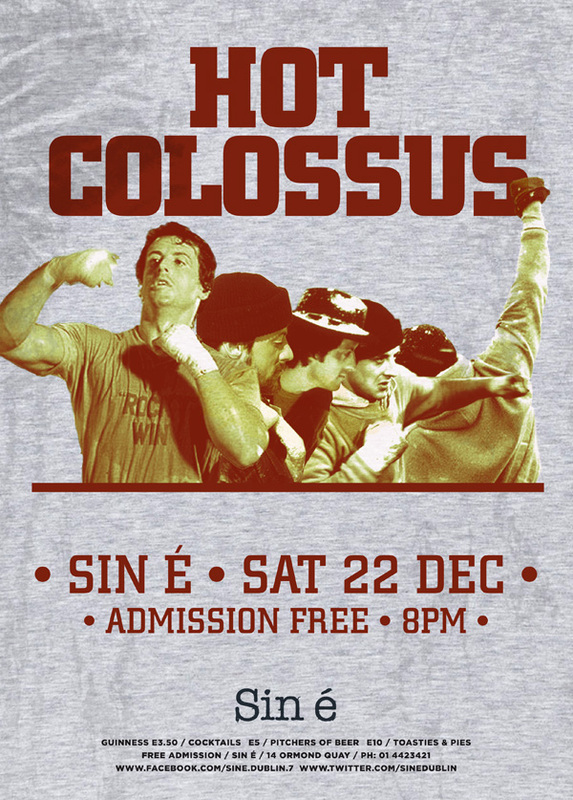 The background is supposed to look like Rocky's sweaty hoody, topped with a "sporty" font, City Bold. It's fun, I like it.